Cathy A J Hardy loves to create evenings of beauty through music. 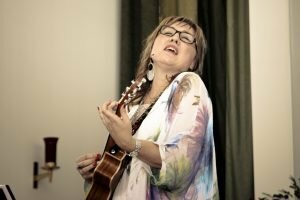 A unique concert experience with soul songs & stories of her journey, Cathy finds deep connection with her audience as she sings from her heart. Cathy performs on her own or with a team of musicians. Please contact for more information or for booking.